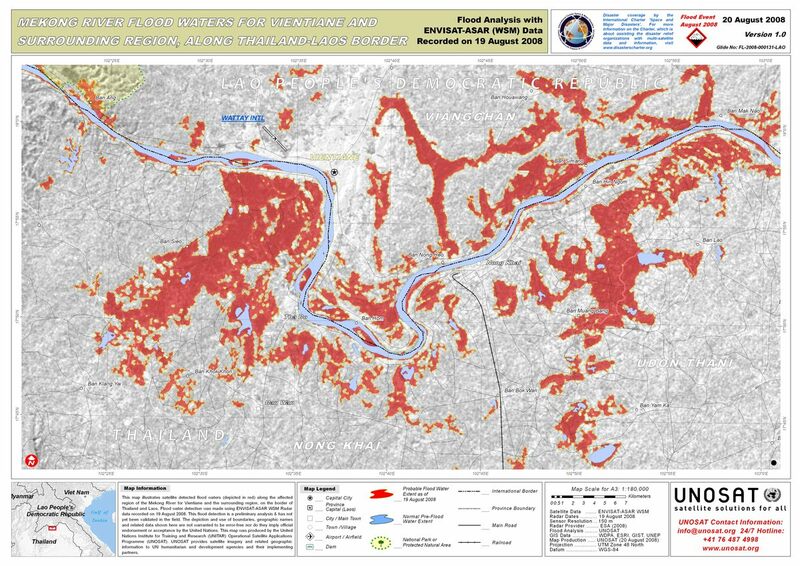 Founded in 2000 by CNES and ESA, the International Charter on Space and Major Disasters regularly provides free satellite imagery to help nations organize emergency response efforts in the event of a natural disaster. For the next 6 months, CNES will be at the helm of this organization. “The charter’s main objective is to obtain a satellite image of a disaster area as quickly as possible,” says André Husson, who sits on the Board of the International Charter on Space and Major Disasters. The European Envisat satellite is often called into action. Credits: ESA. As soon as the charter receives an alert, its 9 signatory space agencies* task their satellites and domain experts to deliver urgent satellite imagery to disaster-affected nations. “This imagery allows emergency response teams to assess the damage and locate survivors who need help, adds André Husson. Events for which the charter has been pressed into action this year include the violent earthquake in China in May, Hurricane Gustav in the West Indies and more recently floods in Vietnam. In the last 8 years, the charter has been activated 198 times. “The charter is being activated more and more often, once a week on average,” notes André Husson. Hurricane Gustav tore through the West Indies in August 2008. Credits: AFP. But the signatories have no intention of being overwhelmed by the charter’s success. Member space agencies chair the charter on a rotating basis to manage daily activities and optimize its working mechanisms. CNES recently took over the helm from the Canadian Space Agency and will be chair until April 2009. To make the charter more responsive, members recently decided to work with ESA’s SaVoir programme (Swath Acquisition Viewer). 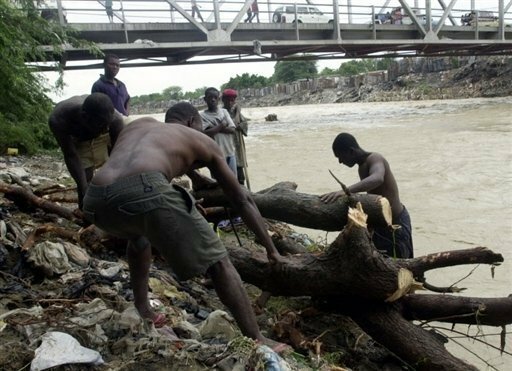 Their aim is to see at a glance where satellites are around the globe and identify those positioned to picture affected areas in the event of a disaster. Mekong River floods, Vientiane, Laos. Source: Envisat ASAR, data acquired 19/08/08. Credits: ESA 2008. Through SaVoir, the charter’s domain experts hope to shorten satellite tasking and image acquisition times. Today, these operations take 1 or 2 days. 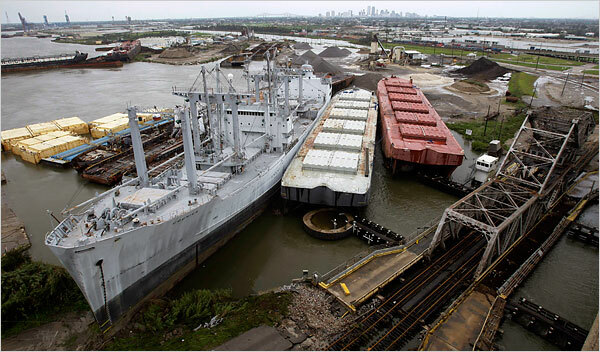 Ships and barges cluttered the banks of the Industrial Canal in New Orleans in the wake of Hurricane Gustav. Credits : Eric Gay/Associated Press. 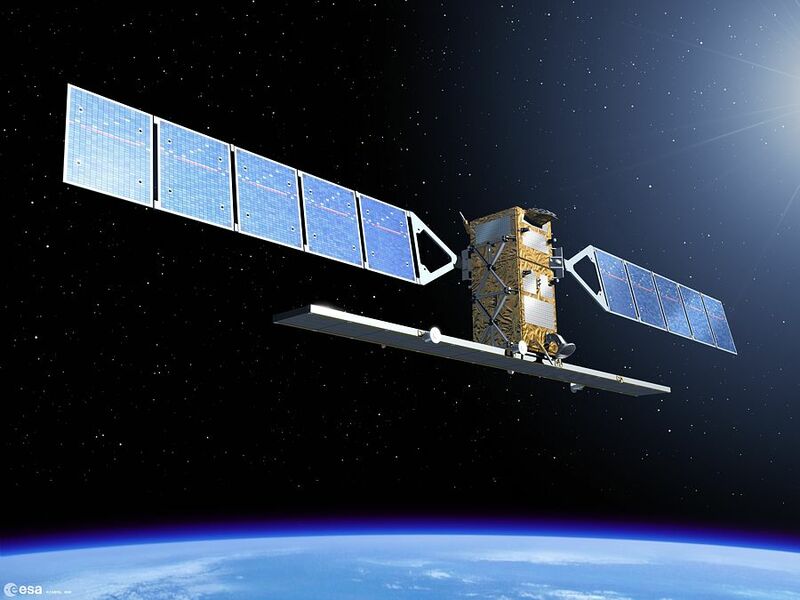 During its term as charter chair, CNES will be studying the request from the Group on Earth Observations (GEO), which encompasses 73 member nations and international organizations, and from Google Earth to be allowed to activate charter assets directly. The U.S.-based geoportal would like to distribute data from the charter.